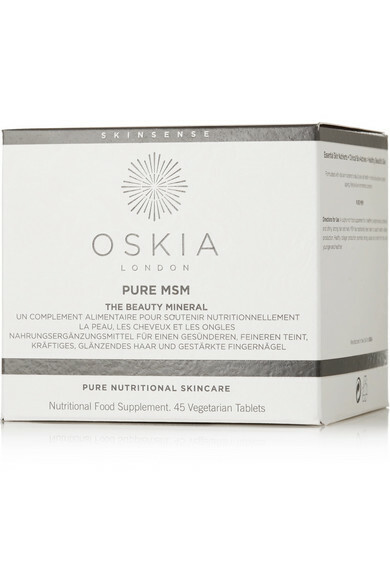 Georgie Cleeve founded Oskia after seeing first-hand the benefits of MSM - known as "the beauty mineral". 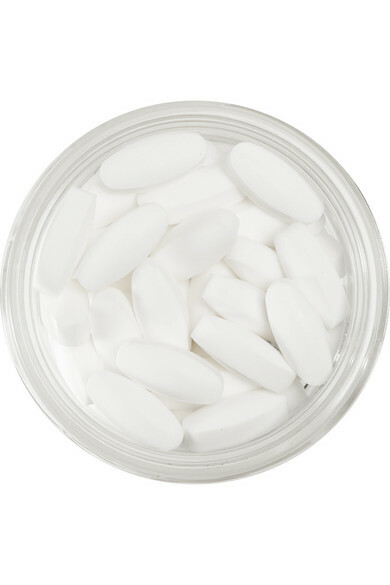 A natural form of organic sulfur found in all living organisms, these triple-distilled Methyl Sulphonyl Methane capsules feed your skin from the inside by supporting collagen production, promoting circulation and decreasing inflammation. It detoxes and strengthens cells and improves the condition of your hair and nails, as well as limiting hyperpigmentation and reducing premature signs of aging.